70's Disco Fever - Experience disco fever for real. Come in workout clothes or your favourite 70's clothes and enjoy being completely immersed in retro NY Chicago Boston & LA in this original course with a dedicated specialist expert teacher. Taking you on a journey of fun, fabulous moves, fabric friction and fever facts. This once a week 12 week course is a semi private small group class at only £13.30 per session, that builds on previous progress and continues to develop and progress you as a 70's dancer. Ideally located just off Warren St, close to Tottenham Court Road and Euston Station it is a very convenient location for you to continue the night disco dancing at a nearby bar or club. 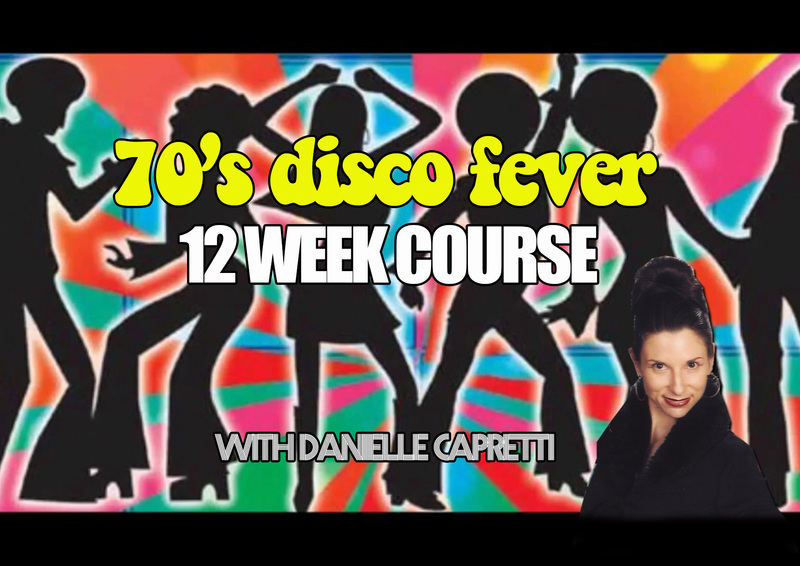 a new 70s line dance each week, leading up to the Saturday Night Fever dance! Great for the complete beginner and those with experience who want to get down and boogie! Level: Open to all levels including total beginners – Danielle provides options to cater for all levels. BY ATTENDING THESE COURSES YOU AGREE DANIELLE AND STUDIO 339 IS NOT RESPONSIBLE FOR ANY INJURIES OR ACCIDENTS TO PARTICIPANTS. ALWAYS CONSULT YOUR DOCTOR FOR ADVISE BEFORE DOING ANY PHYSICAL EXERCISE.